In February 2005, Celtic Link Ferries began sailing between Rosslare and Cherbourg. The European Diplomat was brought from P&O who had previously operated her on the route, but were forced to close the route as a result of economic difficulties at Cherbourg. A French freight operator was said to be interested in operating the service but as the European Diplomat’s last sailing looming, and farmers’ organisations criticising the closure, the six O’Flaherty brothers, from Wexford unexpectedly stepped in by purchasing the European Diplomat and taking over services from P&O for â‚¬10 million. The former P&O vessel then had her name shortened to Diplomat, and resumed her sailings to France. In March, a short lived weekly rotation to Pembroke began, with outward bound sailings departing Rosslare on Mondays at 16.00 and the return sailing arriving at Rosslare at 05.00 the following day. In May 2006 Celtic Link launched a Dublin – Liverpool route with the Celtic Star (ex Northern Star). She was joined in January 2007 by the Celtic Sun (ex-Carmen B). The two ship route was handed over to Seatrucks in September 2007. In March 2007, Celtic Link announced plans to launch a new Cherbourg to Portsmouth service with the Celtic Mist. However on arrival in Portsmouth, she was not deemed fit for passenger services an inspection by the UKâ€™s MCA, and was moved to Southampton for further work, but Celtic Link decided not to take her up on charter, and was returned to her owners. In September, Celtic Link handed itâ€™s Dublin-Liverpool route over to Seatrucks. In 4 October 2009 Celtic Link Ferries again tried to start English Channel services, announcing they have chartered the Norman Voyager from LD Lines to join the Diplomat sailing Portsmouth â€“ Cherbourg â€“ Rosslare, and substantially increasing passenger capacity. However the plans for the Portsmouth service were soon abandoned, and instead Celtic Link used her to increase capacity on their Rosslare â€“ Cherbourg operations, and further developing their passenger operations, with a more affordable year round service compared to the existing operators. Meanwhile, the Diplomat was laid up pending charter, first in Dublin then Waterford. In April 2010 she was leased to Marine Express and sailed to Puerto Rico. In July 2011 the ship was renamed Pavilion for her final journey to Alang,India for breaking. 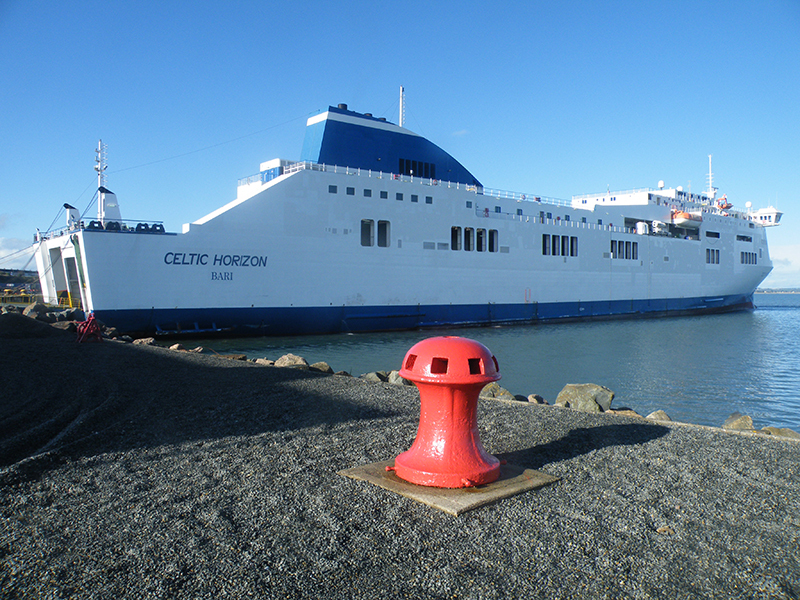 In October 2011, Celtic Link announced that they had successfully arranged charter of a new, larger ship to further increase passenger capacity with the charter of the M/S Cartour Beta, which, prior to delivery was renamed The Celtic Horizon. She arrived in Rosslare on October 16th, and entered service less than a week later. In October 2012, Celtic Link announced their part in the gathering festival, offering fairs of â‚¬1 for car, passangers and cabin on their March 15th sailing from Cherbourg.